New York City artisan, Vilma Farrell, creates one-of-a-kind lamps and lampshades with an unlikely material - recycled coffee filters. Yes, you read that correctly... coffee filters in all of their natural tan glory! Sometimes she uses filters as is, and other times stains each one with the juice of vegetables and spices, such as collard greens, beets, spinach, saffron, or paprika. Originally a journalist in Brazil and now a stay-at-home-mom, Vilma is inspired by her native country's love of dark coffee, rich spices, and muita alegria or joy. She makes each light by hand in her living room/studio after her children are in bed for the night. Vilma cuts and ties wire cloth to create a lampshade's framework. Coffee filters, which have been dried, cleaned, dyed (or not), and cut, are woven into the wire frame. Lastly, varnish is applied to protect and give durability to the surface. 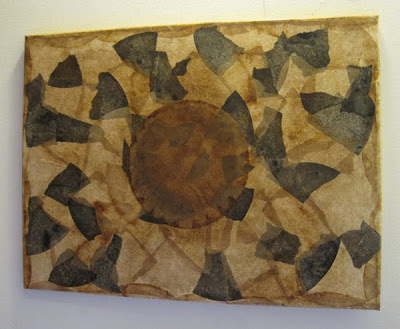 She also uses coffee filters to create impressive wall decor on wood-framed canvas. This piece is composed of natural color coffee filters with black acrylic paint detail. 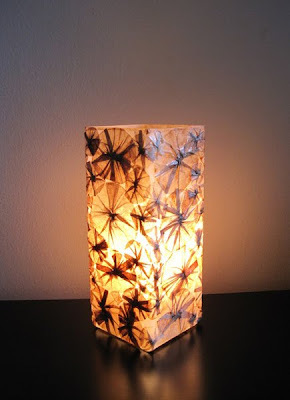 See more of Vilma's captivating designs in her new Etsy shop, Lampada. WOW, love the idea of recycling!!! So very beautiful Ann. How nice of her to use natural colours. 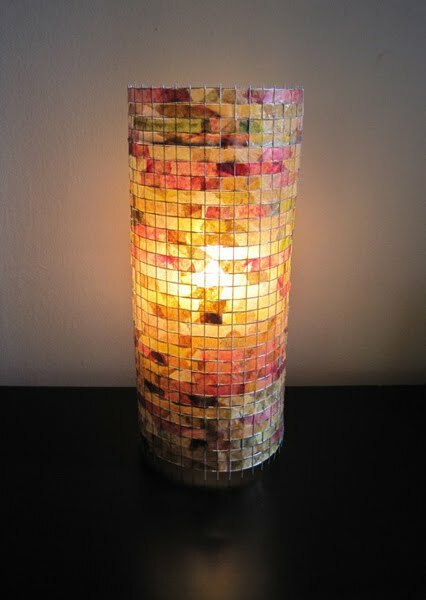 What a beautiful way to recycle. Wow those are absolutely stunning! Wonderful. You always find the most amazing things. Thank you! awesome idea!! What gorgeous results! 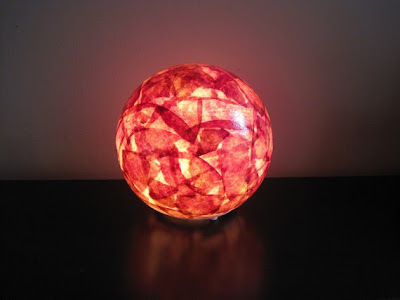 the lamps are incredible! i am floored. Interesting concept, Anonymous... I wasn't aware of salt lamps, but I see they do look somewhat similar. These are simply beautiful! The one's she stains with veggie juice are gorgeous. 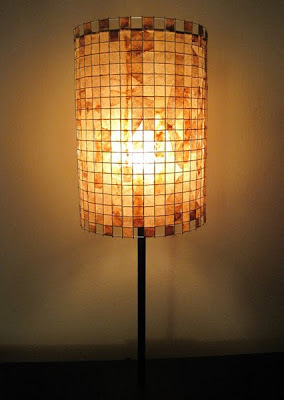 We want Lampada on CustomMade.com because she's that good! 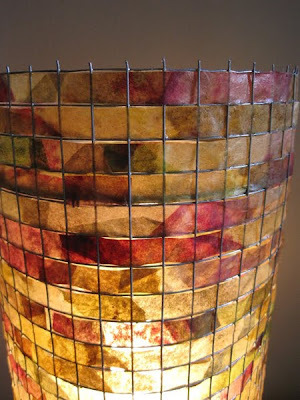 I love this now am going to recycle my living room shades!